But if we are serious about fostering voracious readers — and successful students — hope is not a plan. Though Massachusetts ties for first among states in reading proficiency on the National Assessment of Educational Progress, the proportion of our third-graders who are reading below grade level is still roughly 43 percent. In Boston, that figure rises to 70 percent. In some cities in the Commonwealth, it is even higher. Why does it matter that 8-year-olds can read Roald Dahl’s “The BFG”? Third grade is a pivotal year, when students who had been learning to read start relying on reading to learn. Without strong skills in comprehending written text, students fall increasingly far behind in school. Numerous studies suggest that third-grade reading proficiency is a robust indicator of high school success and college attendance. Summer poses a special challenge. Many children lose ground in their reading skills — particularly those from lower socioeconomic backgrounds, who often have less access to books and enrichment programs. On the same reading test, they’ll score significantly lower in September than they did in June. Studies indicate that these losses accumulate and, by high school, contribute significantly to academic achievement gaps. To make progress, we need a new kind of summer reading list: a list of successful summer programs, across the country, that have found proven ways to help and inspire young readers. We know that a good first step is to get books into the hands of children. Two decades ago, then-Boston Mayor Tom Menino helped to launch the early-literacy nonprofit ReadBoston, aimed at children from ages 3 to 8. ReadBoston sponsors programs such as Storymobile, a set of colorful minivans that visits 80 Boston schools, parks, and plazas weekly during the summer, holding storytelling events and passing out free books — a total of 32,000 last year. Recently, some innovative programs have sought to go further, by both teaching literacy skills and cultivating a love of reading. In Washington, D.C., the nonprofit Reach Incorporated has found enormous success by training and paying high school students, who often read at a fourth-grade level, to become reading tutors for third-graders. The program has a clever design: Older students strengthen their own skills as they help younger students learn to read. Both the third-graders and the high school-aged tutors in Reach Incorporated have demonstrated reading gains of nearly two grade levels within a single academic year. In contrast, their peers who aren’t in the program often show little or no growth. Reach’s summer program is particularly intense: The teenage tutors work on college prep and participate in structured book clubs. They also write, edit, and publish children’s books that are then sold locally and on Amazon. We need to expand such programs, and there are encouraging signs of political will. In 2012, the Massachusetts Legislature established an Early Literacy Expert Panel to evaluate successful reading initiatives statewide and make recommendations to improve third-grade reading proficiency. In addition, the nonprofit Strategies for Children is supporting five cities that are implementing comprehensive community action plans around reading gains. Beyond individual programs, we also need networks of collaborators — from nonprofits to libraries to boys and girls’ clubs to pediatricians — who together support literacy from every angle. When school is out, it’s more important than ever that entire communities become reading rooms. Jessica Lander is a teacher and writer living in the Boston area. Summer poses a special challenge. 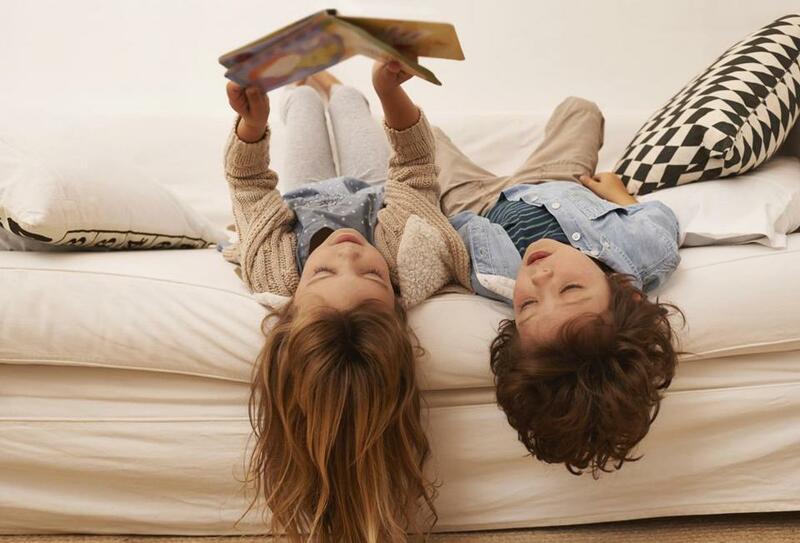 Many children lose ground in their reading skills — particularly those from lower socioeconomic backgrounds, who often have less access to books and enrichment programs.